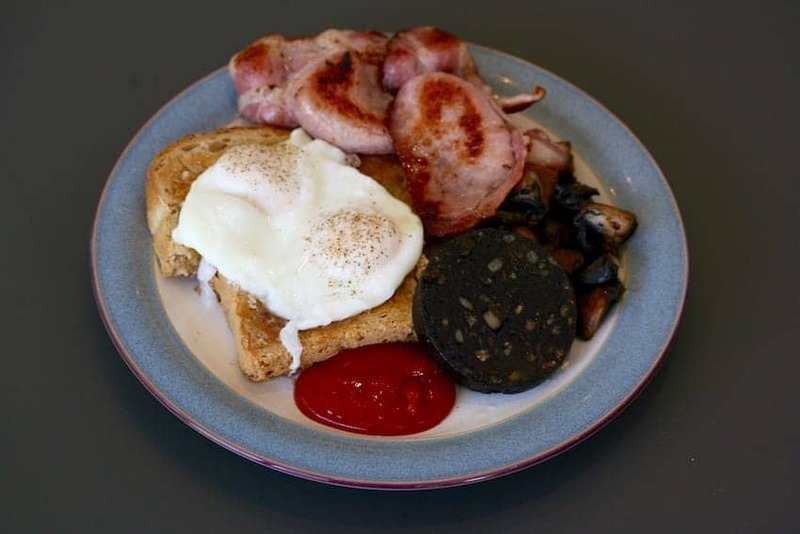 A universally recognized icon of the British culture, the Full Breakfast will always be found on a breakfast menu. It is popular served at the weekends and is packed full of indulgently satisfying fried foods. Most people agree it should include a pork sausage, bacon, fried eggs, mushrooms, baked beans, grilled tomato and fried bread. Black pudding is often included. If it is an Irish breakfast, white pudding and soda bread will be included. If Scottish, potato scones, oatcakes and haggis can be expected and in Wales, laver bread (made with seaweed) is added. Wash it down with a mug of tea.